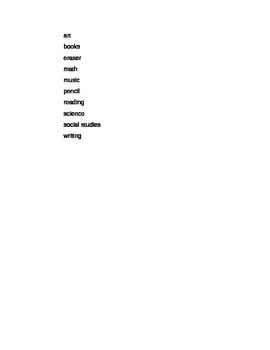 Need an activity to keep your students busy on the first few days of school? 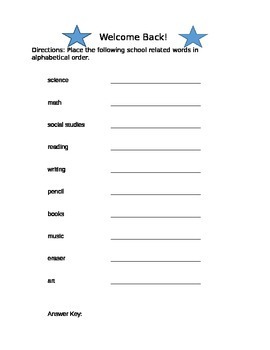 This ABC order activity will not only give you a minute to try to get everyone organized, it will also allow your students an opportunity to practice placing words in alphabetical order. There is an answer key on the second page.